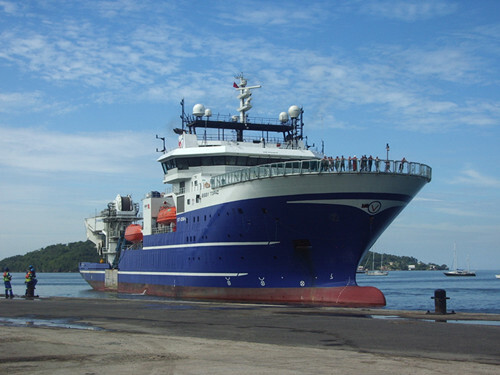 BS 6883 is the British (and also an international) industry standard for the Offshore Oil and Gas, Ship Building and Marine Industries in the UKCS. Cables are certified by Lloyds and DNV in accordance with ISO 9001 and 14001. The BS 6883 cables are flame retardant to IEC 60332 and when a mica glass tape is applied over the conductors they are then fire resistant to IEC 60331 and BS 7917. Construction is similar to other industry standards (such as Norway's NEK 606 and America's IEEE 1580 type P) however variations in the construction of BS6883 and other products as listed in the industry relate to the insulation, screening, braiding, bedding and sheathing compounds. The conductors of BS 6883 cables are constructed with tinned annealed copper conductors and comply with BS 6360 / IEC 60288 for class 2 or class 5. BS 6883 conductors are insulated with EPR and comply with BS 7655. BS 6883 conductor insulation colours/and or numbers differs from both NEK 606 and IEEE 1580 type P.
BS 6883 sheathing compounds for both inner and outer cables are typically EVA (halogen free) and or CSP subjects to clients requirements. BS 6883 armoured cables have either galvanised steel braid (GSWB) or in case of single core cables or phosphor bronze (TPWB) on tinned copper wire (TCWB). Standard outside sheath are coloured black for power and control, grey or blue for instrument, red for medium voltage. BS 6883 & UKOOA instrument cables are individually or collectively screened with an Aluminium mylar tape in contact with a tinned copper drain wire. These fire resistant elastomeric insulated cables are designed for fixed wiring in ships and on mobile offshore units, suitable for use in instrumentation, lighting and control circuits where fire integrity is essential. Conductor: tinned copper wire stranded circular cl. 2 BS 6360/IEC 60228. Insulation: Mica tape + HF-EPR GP4 according to BS 7655 1.2. Individual Screen: Aluminium/polyester tape + drain wire tinned copper.